alaTest has collected and analyzed 477 reviews of Amazon Kindle 2 (2nd gen, 2009). The average rating for this product is 3.8/5, compared to an average rating of 4.4/5 for other products in the same category for all reviews. Reviewers really like the design and screen. The price and usability are also mentioned favorably, whereas the storage and reliability get critical views. We analyzed user and expert ratings, product age and more factors. 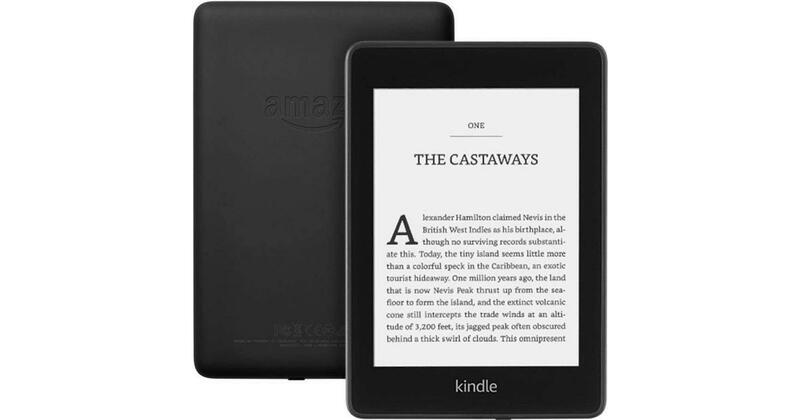 Compared to other products in the same category the Amazon Kindle 2 (2nd gen, 2009) is awarded an overall alaScore™ of 94/100 = Excellent quality. In the end, we heartily recommend the Amazon Kindle 2 over any other e-reader. The Kindle (2019) has a refined, compact design and is the most affordable Kindle with an integrated light. Base storage bumps up to 4GB. Bluetooth audio is on board for audiobooks. Minor updates enhance Amazon's already best-in-class reader experience. The Kindle 2 is better looking, lighter, and the screen is even easier to read, but it's still difficult to view your own documents on the device. Will Amazon's newest e-book reader save you money? Does it matter? We break down the key differences between the Amazon Kindle 2 and the company's original e-book reader. Kindle is lighter than a typical paperback and as thin as most magazines. Barely a third of an inch in profile, you'll find Kindle fits perfectly in your hands. Kindle is as easy to hold and use as a book. When reading for long periods of time, people naturally shift positions and often like to read with one hand. Kindle's page-turning buttons are located on both sides, allowing you to read and turn pages comfortably with one hand from any position. The page-turn buttons now flex inward to prevent any accidental page turns when picking up or handling Kindle. With the text-to-speech feature, Kindle can read every newspaper, magazine, blog and book out loud to you, unless the book is disabled by the rights holder. You can switch back and forth between reading and listening, and your spot is automatically saved. Pages automatically turn while the content is being read, so you can listen hands-free. You can choose from both male and female voices which can be sped up or slowed down to suit your preference. In the middle of a great book or article but have to jump in the car? Simply turn on Text-to-Speech and listen on the go.